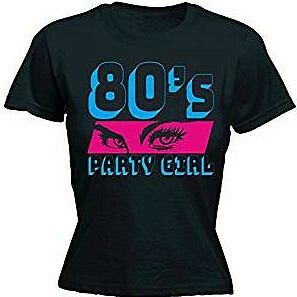 For this post, I'm going to show you the best 80s Party Girl T-shirts which really make a statement! This first tee is available at Amazon.co.uk and is available in 7 colours. 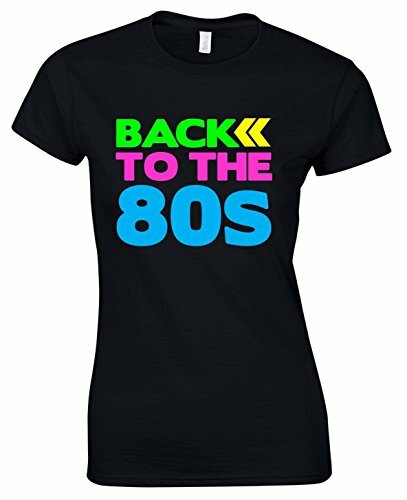 This is a premium quality T-shirt, but I would suggest ordering two sizes it runs rather small, and for an 80s look you need your shirt to be loose fitting. 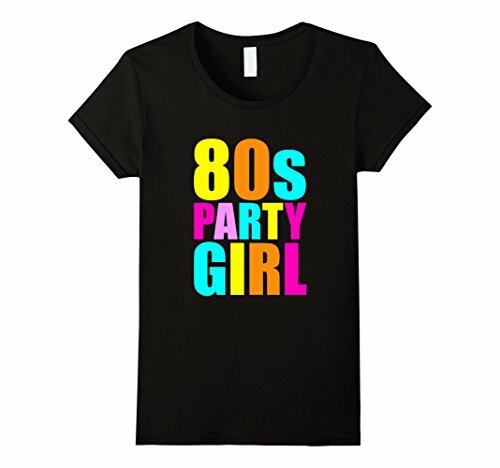 80's Party Girl T-shirt U.S. 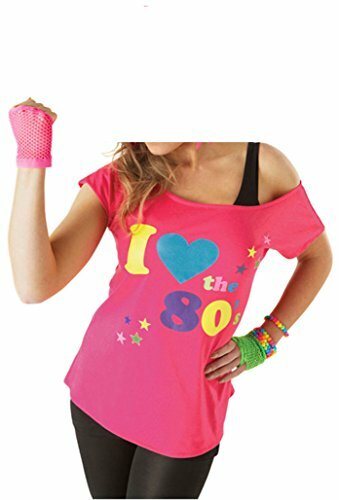 This eye-catching T-shirt really makes a statement, just as the slogan T-shirts did back in the 80s. Sadly, it is only available at the U.S. Amazon store, but you can also find similar designs on ebay in both the UK and U.S. The ebay link will work in all English speaking countries. These are brand new items being sold as "buy it now". I've always been a fan of baby pink, and this top quality 100% cotton t-shirt is perfect for wearing out and about, or to an 80s event or fancy dress party. It is available in sizes small to extra large with a choice of white or the aforementioned baby pink. 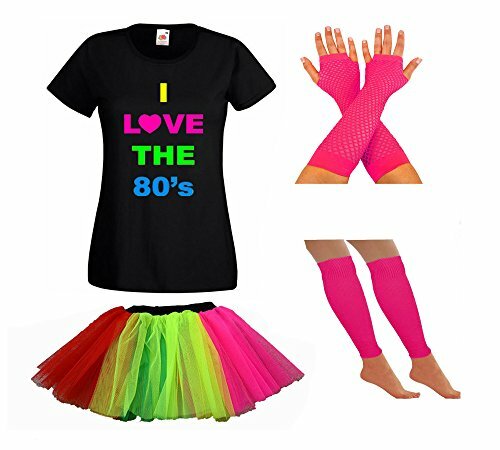 The design is clear and unfussy, with the "80s Girl" message very reminiscent of the original Katherine Hamnett designs from the eighties. 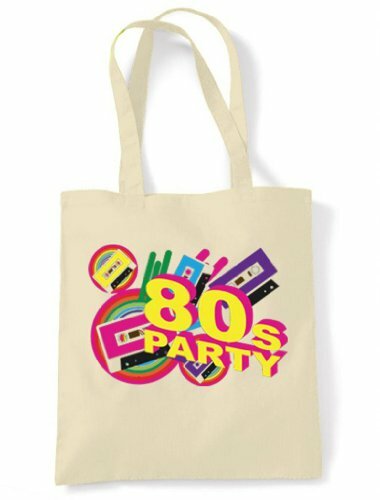 An eco-friendly matching tote bag is also available in white or yellow, and is perfect for carrying your 80s vinyl around with you - maybe not, but it's very handy, nonetheless! The bag is made form 100% cotton and is reusable and strong. It has also received very good reviews on the Amazon website. 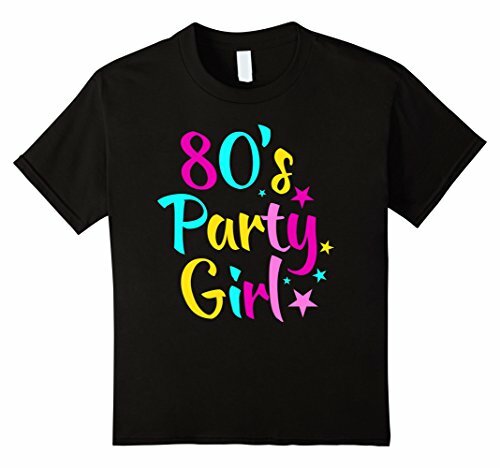 I also adore this retro ringer style "Girls Just Wanna Have Fun" tee which, of course, refers to the lyrics of the huge 80s hit song by Cyndi Lauper. It's available at Zazzle.co.uk and can be bought in several styles and colours. 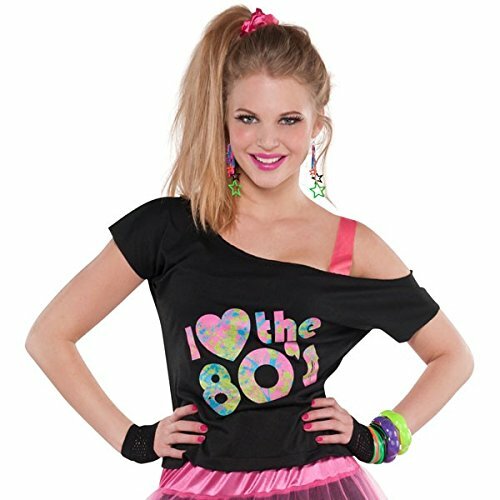 This new ladies costume set for 2017 is great value and perfect for any 80s party, concert or charity run. It includes a full range of accessories and is available at Amazon UK. This one isn't available at the U.S. store - sorry! 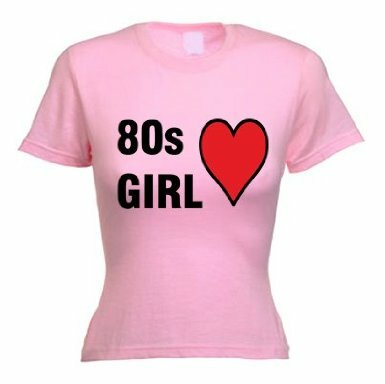 80s T-shirt Ideas for Ladies U.S.